Zooby launched the new Bear Builder Game this past week, and it is so easy to play! 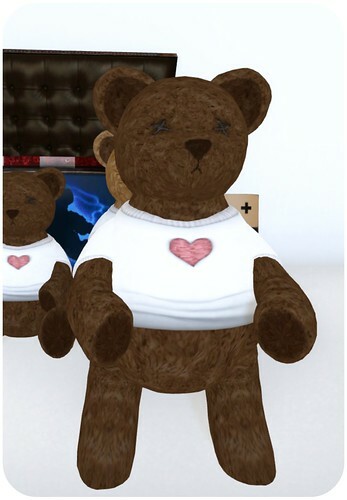 This game enables you to create your own Teddy Bear by combining two existing bears to create a new Teddy Bear with (even more) special traits. 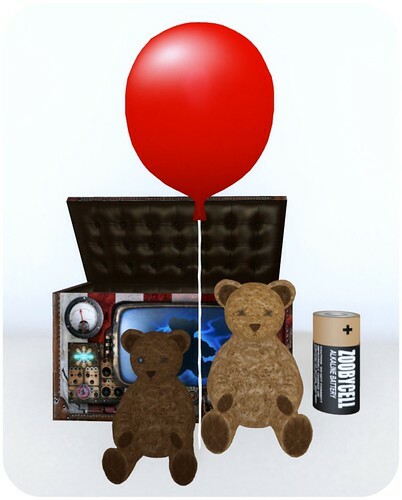 To play the Bear Builder Game, you will need at least two Bear Balloon Rezzers, one Bear Builder Box, and one Teddy Battery. 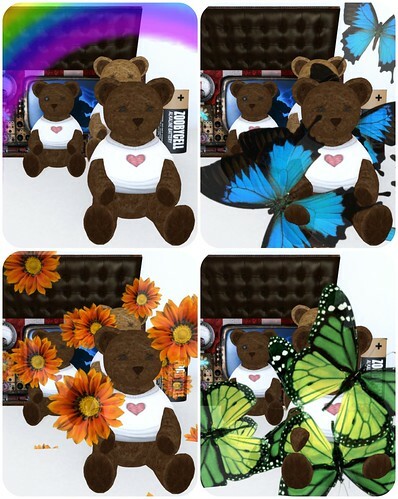 Once the Bears are charged and ready to go, you can click the Bear Builder Box and select two Teddy Bears to go inside it. 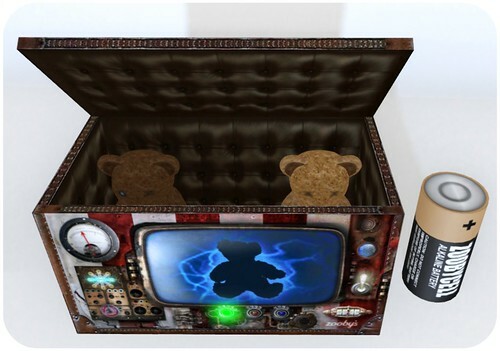 Within minutes, the box will create a brand new Teddy Bear with more traits! The new Teddy Bear arrives in a Red Balloon that you have to click to pop. I named my two original Teddy Bears Brownie, and Latte. The original bears only have one particle effect: Rainbow, but their new baby, has four. I named the new baby, Mocha. 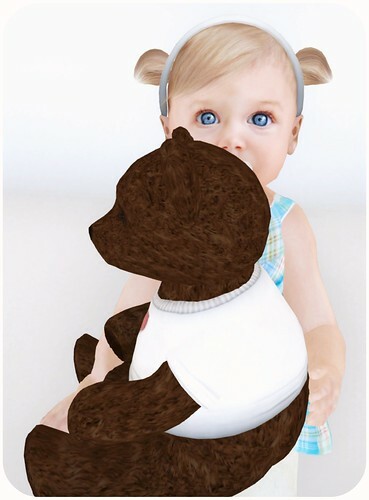 Mocha is scripted with 4 different particles effect, has 3 dances animation, spin, Baby hugs (works with your Zooby Baby), and turn the t-shirt on or off. If I wanted to, I could now take Mocha, and use the Builder Box and another Teddy Bear, to create a totally new bear with different traits.